Large, vibrant flowers and long, sturdy stems make these some of the best tulips for landscaping. 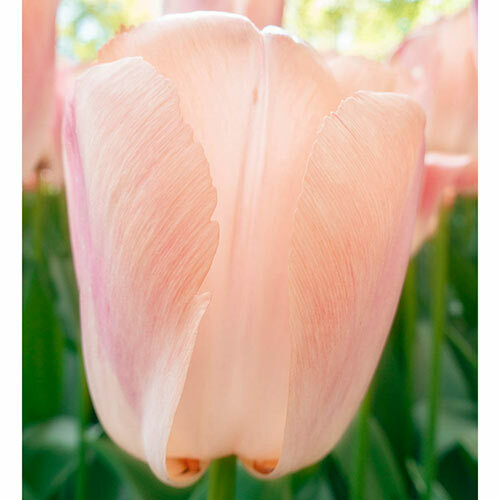 Sports of Darwin Hybrid Tulip Ollioules, Apricot Pride Tulips have orange-pink, 5" flowers that are held on 22" tall, strong stems that hold up well in the landscape as well as in cut-flower displays. Best of all, these tulips perennialize well when planted in well-drained garden beds—so you'll enjoy gorgeous displays year after year.